Similiar to Create your own bus route! in our MTA Bus Operations forum, create your own subway route. Assign your subway route a route bullet, describe the route, station locations and transfers, assign cars (past, present or future subway cars), and assign a yard. Most of all have fun! -125th Street to Hanover Square. We can all keep dreaming or pretend to create that, because budget problems would never allow it to be fully completed. - 4 tracks, 125th Street to Hanover Square. We can all keep dreaming or pretend to create that, because budget problems would never allow it to be fully completed. This route will utilize the Culver El from Av X until Ditmas Av. It will then branch off the el, continue north until it hits Church Av and will then make its way down Church Av, terminating at Kings Hwy (for those of you who don't know, Kings Hwy does intersect with Church Av). Trains will be based out of the CI yard via the switch at Av X. Here's a map showing a portion of the line from McDonald - Church Av to Kings Hwy (I don't have Photoshop so bear with me) *Note: I forgot to put the station symbol for Utica Av. One of the other things I would do is extend the from it's current Canarsie base down to 20th Avenue on the Sea Beach Line to create a crosstown Brooklyn Line to take the load off the buses crossing Brooklyn. You should eliminate either East 18th Street or Flatbush Avenue because Flatbush Avenue is too close to East 18th Street. I would prefer eliminate Flatbush Avenue so East 18 Street has transfers with the ( trains. Also, there is a transfer on the at Nostrand Avenue, not Flatbush Avenue, but I don't blame you. Won't a crosstown Brooklyn Line with the current work better then a .
I would prefer eliminate Flatbush Avenue so East 18 Street has transfers with the trains. Thanks for the correction. I made a mistake. As for Flatbush and E. 18th, their both valubale transfer points even thou both stations would be pretty close to one another. I just can't imagine having a shuttle run down Church Av and pass such a major avenue. This shuttle would take a major load off the B35 and would reduce heavy traffic along Church Av. Just getting from Coney Island Av to Flatbush Av on the B35 takes 12-15 minutes during evening rush hour! It should only take 5-7 minutes! Mine would be an orange (P) train, it would be 100% R160s. Something, anything that goes to staten island from brooklyn or (better yet, though much more costly) manhattan. St George is good enough, the SIR exists for a reason. Though if the you give the current this alignment it would work. Plus a section of existing railroad the LIRR Bay Ridge Branch is down here. The Bay Ridge Branch can carry a total of 6 tracks. They removed 4 tracks over the years so they only have 2 tracks for current operations. You could have 2 tracks certified for subway usage, and send the down this line taking the load off all the buses, because a train can carry more people then a bus. Plus the cars are usually short. An 8 car train would not just take people off the B35 it would reduce crowding on all buses. The SIR is a railroad. Plus some Staten Islanders don't want the subway for fears of crime. A better idea is to use the current 2 remaining tracks on the LIRR Bay Ridge Branch which are railroad tracks, and send it into a tunnel to St. George. The Staten Islanders won't have to be afraid of crime, because of the high fares or that is what they think. Also it can run down the current SIR tracks without too much modifications to the line. The Bay Ridge Line is also connected to the Atlantic Branch a current passenger branch which is also helpful, and it's also right by the waterfront too. If you walk to the end of the Bath Beach Boardwalk you can see the tracks. If you send it into a tunnel from there it can make it to Staten Island. It's shorter too, and it would go directly to Saint George. Also a Manhattan connection is impossible. There are too many subway tunnels in Lower Manhattan. The tunnel would bump into other tunnels along the way, and also the isn't a good option, because South Ferry is too close to the Waterfront to dip under the harbor. There are no stations near the location on the Bay Ridge Branch, and if you move the tracks back a bit you can have the right alignment to go under the harbor. Isn't crime everywhere, no matter what neighborhood you go to? Ask the Staten Islanders. 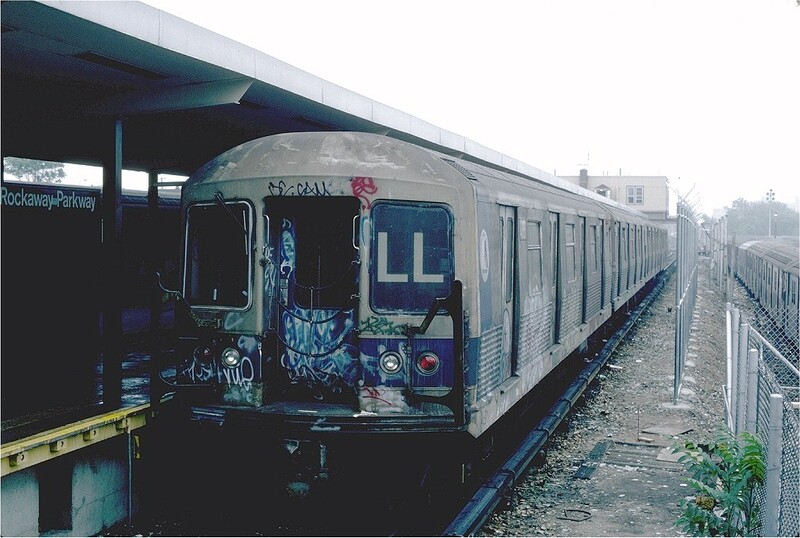 Some of them think the subway is literally still in the late 1970's to the early 1980's. Those were good times weren't they joking. Especially already in Staten Island I think. If the were to run down the Bay Ridge branch, it certainly wouldn't help take the load off the B35. The Bay Ridge branch is a little more than a mile from Church Av. That's the thing. People would board existing subway lines, and ride down there to transfer to the . It helps a bit everyday by allowing people to transfer. Not for the folks who who live on or near Church Av. I though there were several existing subway stations along Church Avenue. Though if you send the via along Church Avenue the cost would be extremely high. You would have to tunnel your way across. Why do that when an existing line that has room for extra tracks that can be rebuilt for subway use just exist a mile away.